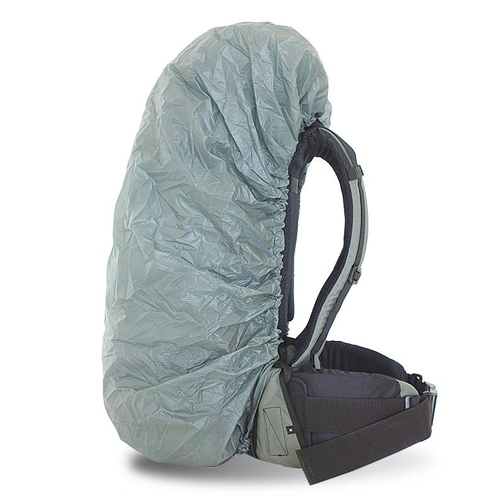 The Stone Glacier Rain Cover provides complete weather protection in wet climates. Using silicone impregnated 30D nylon and seamless construction, the Pack Cover provides 100% waterproof coverage for your pack. The cover will fit all packs from the Solo 3300 to the Sky Guide 7900. Bottom shock cord attachments secure the cover to the frame, allowing quick access to the pack without the risk of the cover blowing away in nasty weather. 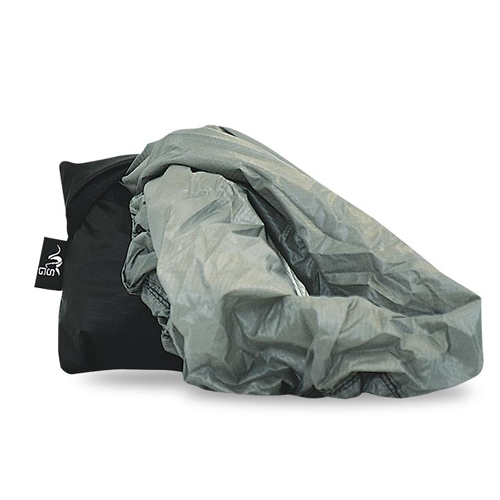 Weighing a minimal 3.5 ounces including stuff pouch, the Pack Cover will provide added protection from the elements.